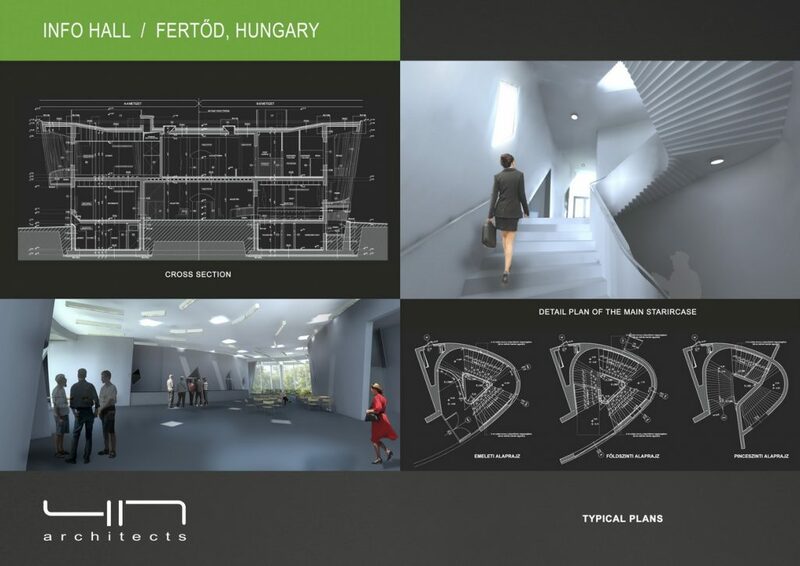 The architectural concept of the designed building based on a very simple idea: we like to display the info hall building as a group of trees fit in among the glade of the landscape. 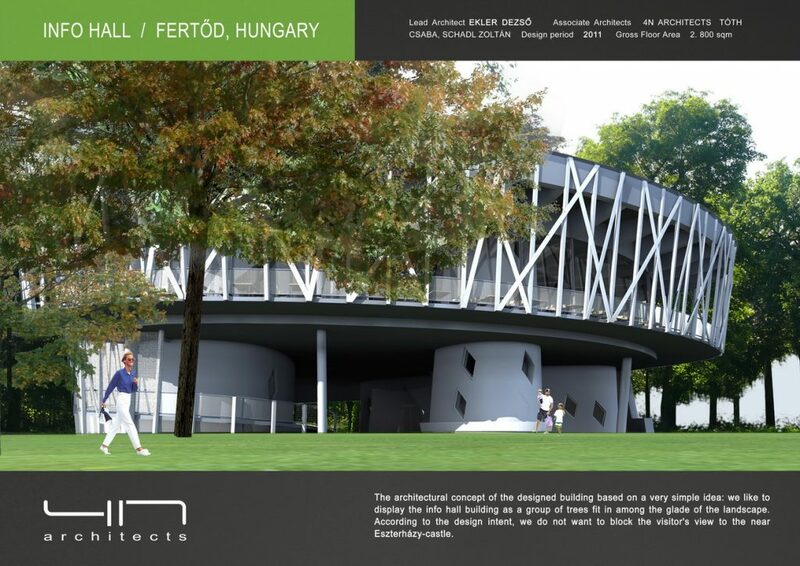 According to the design intent, we do not want to block the visitor’s view to the near Eszterházy-castle. 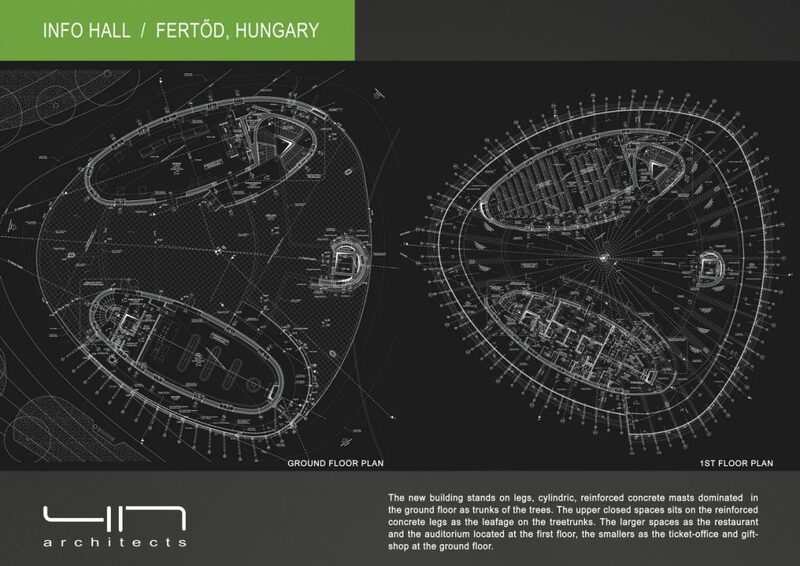 For this reason the new building stands on legs, cylindric, reinforced concrete masts dominated in the ground floor as trunks of the trees. The larger spaces as the restaurant and the auditorium located at the first floor, the smallers as the ticket-office and gift-shop at the ground floor. The upper closed spaces sits on the reinforced concrete legs as the leafage on the treetrunks.